With pumpkin spice cappuccino mix, your coffee just got a lot more exciting. Whether you use a pre-made blend, or you make your own, pumpkin spiced cappuccinos are sure to add some spice to your day. Named for the color of the robes worn by Capuchin Monks, cappuccino is a hot coffee beverage enjoyed around the world. Cappuccinos are made from espresso and steamed milk, topped with a head of foam. While other espresso drinks use the same or similar ingredients, the cappuccino varies with its use of milk. 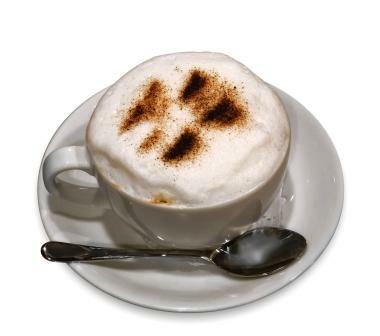 A typical cappuccino will have less milk, but more foam than a latte or similar coffee drink. Pumpkin spice mixes have been gaining popularity as a flavoring for baked goods, desserts and coffee. Pumpkin spices generally include those used in pumpkin pies, but can be varied by taste and use to include a number of ingredients. Pumpkin spice cappuccino mixes are a great way of adding the taste of pumpkin pie and spicy, fall flavors to your coffee. Cappuccino mixes are not traditional cappuccinos; they consist of a powdered, instant coffee combined with creamers and spices. Ready to serve, you only need to add water to enjoy a hot, coffee beverage at any time. Combine dry ingredients well and store in an air-tight container. To use, combine two tablespoons of mix with one cup of boiling water. If you are interested in making your own, true cappuccino at home, and want to add some pumpkin flavor, you can make your own pumpkin spice at home. Once you've combined the spices to your taste preference, spoon a tablespoon or two into the bottom of your empty coffee cup. Pour the hot espresso and milk into the spices; there is no need to stir. Pumpkin spice flavored cappuccino mixes are wonderful on their own for a quick, hot cup of coffee, but they are also great in other recipes. If you're looking for a way to spice up other foods in your life, try some of these ideas. Add a couple of scoops of powdered cappuccino mix to one cup of vanilla yogurt and some ice. Blend until smooth for a creamy, refreshing drink. If you want to spice up your baked goods, from whoopee pies to cream puffs, add a scoop of powdered pumpkin cappuccino mix as you make your cream fillings. Just as the cream starts to set and thicken, stir in the mix a little at a time for a hint of spice, flavor and depth. Be sure not to add additional sugar, as the mix generally contains enough. Add half your standard hot chocolate mixture to a half serving of cappuccino mix for a pumpkin spiced mocha. Top with whipped cream and sprinkle with cinnamon for a dessert in a cup. Pumpkin spice flavored cappuccino mixes are the perfect complement to a crisp, cool morning at any time of year. Add some spice to your instant coffee mix, your hot chocolate or your dessert for hint of fall flavor at any time.